View Onto Planet Mars, Reveal Shot. 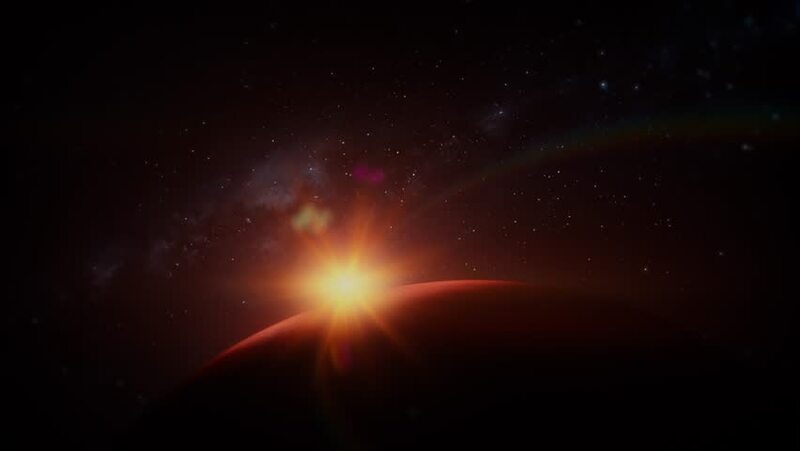 Beautiful, cinematic animation of the red planet with part of the galactic center in the background. 4k00:10The warm light on the dark background. anamorphic lens flare.